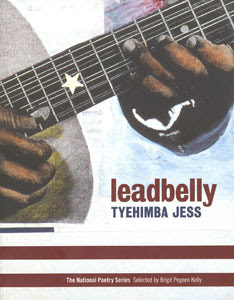 Tyehimba Jess's book leadbelly was the one that prompted me to pay closer attention to what contemporary poets were doing with sonnets. Jess includes a crown of sonnets toward the end of his volume, and as it turns out, several poets have produced crowns or extended sequences of sonnets. Allison Joseph's My Father's Kites, for instance, contains a sequence of 34 sonnets focusing on her father. Jess and Joseph are key touchstones in broad network of poetry projects featuring sonnets. The appearances of those sonnet sequences in volumes reflect the extents to which contemporary poets utilize the extended spaces of books to present extensive poetry projects. Jess's sonnets, for example, are part of a larger book-length treatment of the life of musician Leadbelly, and Nelson's sonnets for Till comprise the entire book. Most print-based magazines provide poets with the space to publish one or two points at a time, but certainly not sequences of 19 and 34 interrelated sonnets like in Finney's and Joseph's books, respectively. As those sonnet sequences suggest, for many poets, volumes of poetry are no longer simply sites for the publication of individual poems. Instead, the books serve as platforms for poetry projects that showcase deliberate interconnectivity among several different pieces.